I saw a dense cloud rolling down into the valley where I was camped. Thinking it might be the forecasted rain, I packed up immediately and ate breakfast as I hiked. Worth it to have a dry tent and sleeping bag. I wasn’t hiking very fast, though. The fog cut me off from my surroundings. I climbed up through the quiet forest. I passed boundary signs for Mt. Rainier National Park. I wondered if there was stunning scenery beyond the clouds. I passed Dewey Lake, so beautiful and clear even in the dull wet light. If it had been warmer, it would have been nice to swim. As it was, it was cold and there were dozens of day hikers around. I saw more and more as I climbed up a small mountain and then started the mild descent to Chinook Pass. It started to drizzle. I bet there were a hundred cars parked at Chinook Pass. More day hikers clustered at Sheep Lake. I took a break by the water. The crowds, the weather, and stuff from home was turning me into a ball of stress and anxiety. I wanted to charge up the mountain, take on the scree and the steepness, hike until dark–but I felt so out of it, sort of trapped. All I could do was hike on slowly. I went through a pass and got hit with a blast of wind and drizzly rain. I had cell phone reception so I scanned craigslist for apartments. I texted Pat, checked the weather, convinced myself that I should keep hiking. The reception wasn’t strong enough to get a weather report. I guessed the clouds weren’t going to clear, the rain would start soon, and it would be cold. And that’s what happened. The rain came down hard sometimes, misted or drizzled lightly sometimes. 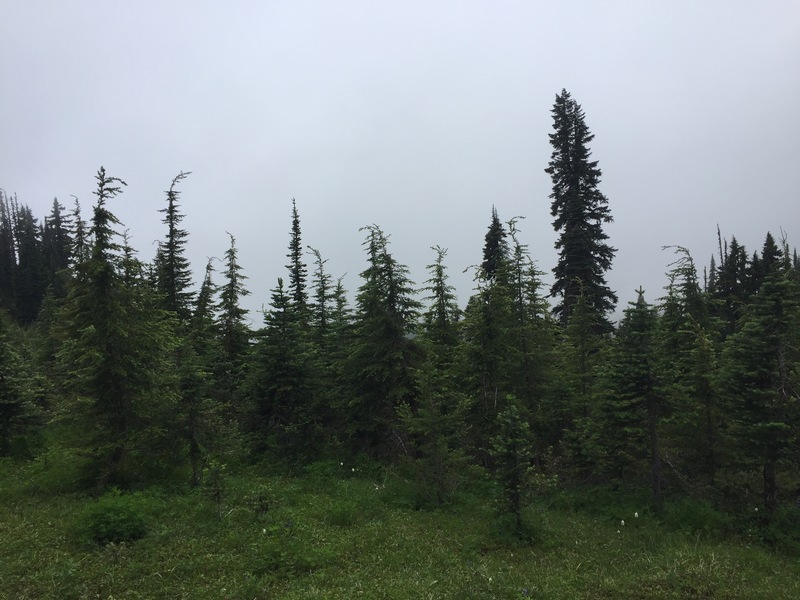 Every mile I sought shelter under dense coniferous boughs, collected myself, kept hiking. I got cold. I camped at the next site. My hands fumbled with the buckles on my pack. Everything was wet. The site I found became a lake after another hour of rain. My ground cloth soaked through, my pack soaked through. My sleeping bag sopped up the puddles. I tried to get to sleep quickly. Hang in there Homestretch! I’m reading your posts and enjoying your photos! Showing your images to all my co-workers. We are all living vicariously through you and rooting you on! If you are interested, let me know when you are up in the Snoqualmie Ski area and I’ll head up there and get you a good meal in town, a place to clean up and a soft bed for the night. Let me know if there is anything you need! Here’s my cell phone if need anything in the “Seattle” area (425-420-8629)! Cheers to you! I know your husband and family must be excited to see you so close to finishing! Hi Henry! 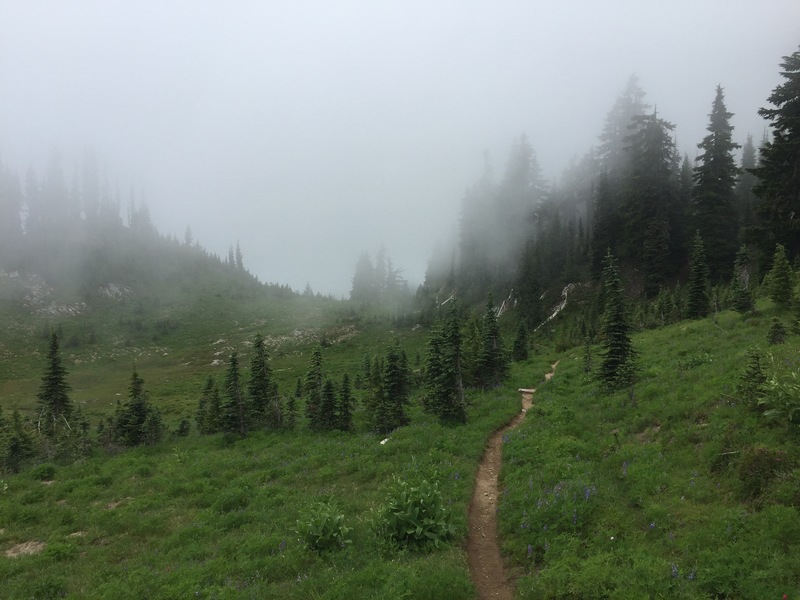 I am actually now in Skykomish, but I’d love to take you up on your kind offer next weekend when I am finished the trail and heading home! I’ll be coming through Seattle around the 20th. Wow! You move fast! Glad you’ll be coming back through Seattle! That sounds wonderful. Unfortunately, I’ll be on call both weekend days but in the mornings only. I’ll make it work though! Let me know what you need, what you’d like to do and we fill find a way to make it work. Call me. 425-420-8629. Looking forward to hearing more stories! Cheers to you! It just dawned on me that you’re going to finish your hike soon and I won’t have your blogs to enjoy any more. They have delighted and inspired me! Wow, you are almost there! Your blog is what kept me going through the early summer as we waited anxiously to start our own SOBO hike. Thanks for sharing a great experience, and enjoy your last few miles. Hike on! Darn, looks like I missed you at Chinook Pass by 1 day. 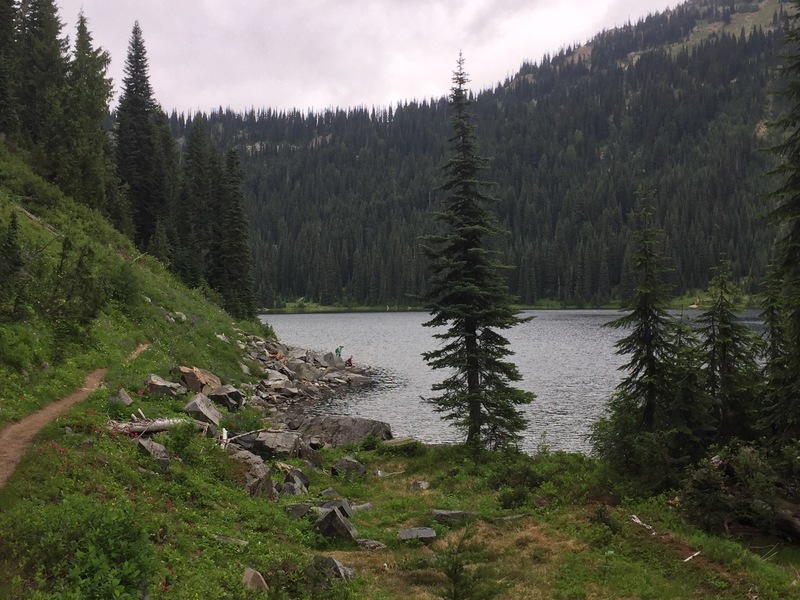 I did the Naches Loop trail on Sat. 8/6 and kept my eye out for a through hiker but there were none. Would have been great to say “hi”. It was a beautiful day, but the next 3, the rest of my stay, it was rainy. I at least did my short hikes between showers. Hike on! !